Oh! 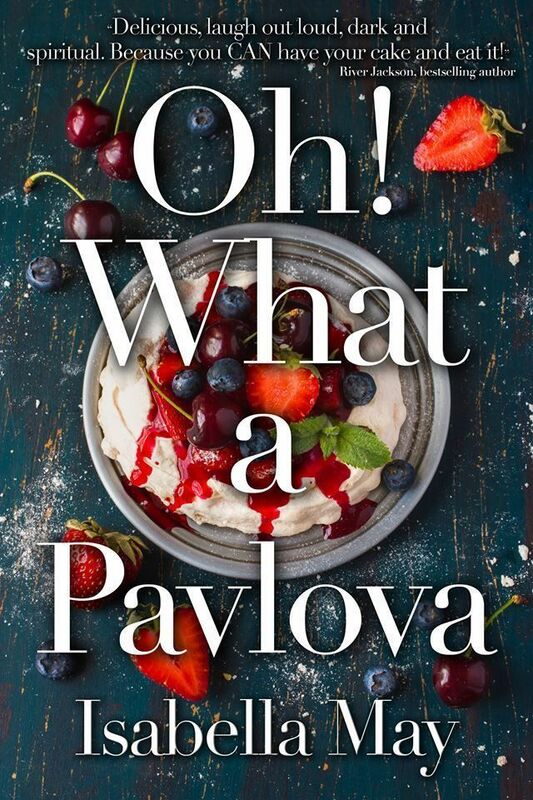 What a Pavlova, released 3rd October. Please welcome author Isabella May to my blog today, please make yourself at home. I would offer you some tea and cake, but your confectionery skills together with the fabulous cover art of your novel puts my cooking to shame, so I’ve rustled up a fruit salad instead! No problem, I LOVE fruit salad too, and I’ve almost overdosed on cake this week! Thanks for inviting me, Cristina. Isabella, please tell me how you came up with this fantastic title “Oh! 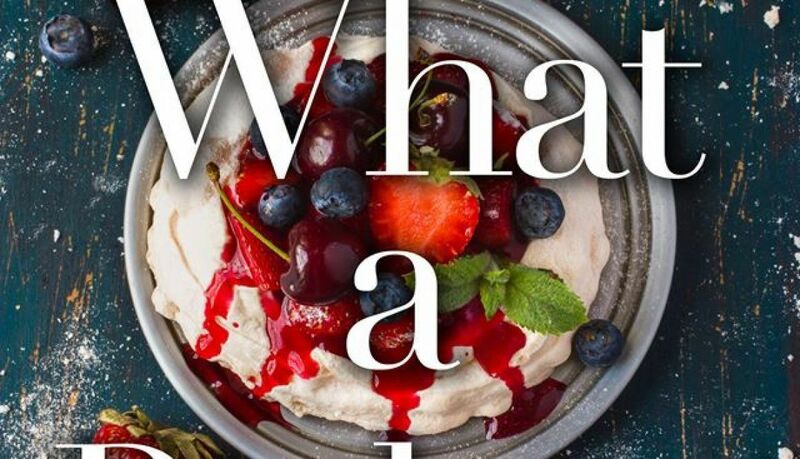 What a Pavlova” and could you summarise your latest work in just a few words. I have a penchant for all things cake and pudding – you might have guessed. And I wanted to somehow blend this into a book about domestic violence, so interchanging the “pavlova” bit for the usual “palaver” was a play on words that just stuck! Cake meets domestic violence, travel, spirituality, comedy, and a bid for freedom in the arms of many an unsuitable man… all set against the backdrop of the weird and wonderful characters of the publishing industry. Sorry, that was more than a few words, but it’s one of those novels that straddles genres and covers a LOT of topics! It sounds very interesting. What was your inspiration for this novel? 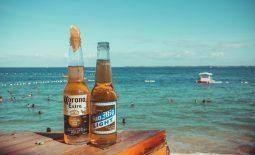 A burning desire to dispel the misconception that an abusive relationship is abusive all the time: it is not. But I also wanted to portray a very honest picture of the way D.V can splinter life. 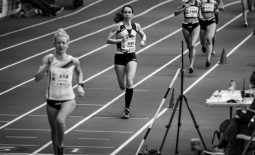 Quite often the victim is leading a double life, their outer façade so astonishingly different to the unthinkable acts they are tolerating behind closed doors. Ultimately though, I wanted to create a story with a very different message; a message of empowerment for any woman or man who is currently feeling anything but strong. Thank you for sharing this insight to your novel, I’m sure there will be more than one who will find relief in your words. Sounds good to me! I hardly eat any meat myself and love vegetarian cuisine. Taking into account the lactose intolerant part (poor you! ), I’d probably rustle up my infamous butternut squash and red pepper harissa risotto. It’s really good, even if my arm feels like it will fall off from all the ladling and stirring! Pudding would be a delicious avocado-based chocolate mousse (with lactose free choc). Sounds delicious! Count me in for dinner later then! So tell me, are you a plotter or a pantser? I’m 100% a pantser (I only learned of this term recently!). I have never been into spreadsheets or organisation so I will write what I feel like in any given day, based on my mood and the weather, rarely following chapter order. And then I will sew it all up. Very naughty I know, and certainly not what any writing teacher would advise. My creativity works best through Post It notes, scribbles and brainstorming sessions, dialogues that pop into my head (usually in a café while I’m waiting to pick my daughter up from dance) begging to be recorded on the back of envelopes. Somehow it works! They say that some of the best authors are extremely shy? Is this true for you? I can be a bit of a dark horse leading people to believe that I’m shy. I’m actually an omnivert (half introvert, half extrovert), and one of the best things about this is clocking the unsuspecting expressions of others when I do have something to say! You currently live in Spain, name one thing you really miss about the UK, except the weather of course, because we all know that deep down, it if wasn’t for the weather, conversation in the UK would come to an almost standstill. The abundance of good cake! No disrespect to Spain – I’m a huge fan of churros and the yema, but it’s so tricky to come by certain baking ingredients here to make something really special. I’ll often make a twenty kilometre round trip just to buy some peppermint extract, or rose water from a large hypermarket. Sometimes even then they won’t stock it! Yes, I know what you mean, I’m always on the look out for HP sauce! I imagine that this year has been and will be quite a magical year for you, any new projects lined up? Yes, it has been quite the stereotypical “journey” in cringe worthy X-Factor/The Voice/Britain’s Got Talent terms (don’t worry, I’m not playing “Flying without wings” in the background). I have dreamed about it for so long though and prepared myself mentally for a number of years – especially through visualisation and “acting as if”, which really does work… Yet, I’d be lying if I said I wasn’t just a tad nervous/excited! And Book 2 – a novel stuffed full of enticing cocktails, a dishy barman who has gone AWOL from his rock band, Glastonbury, Mexico, Prague and a little bit of magic – has just been accepted by my publisher too and I can excitedly announce that it will be released on the 13th February 2018! So you can continue to read about the madcap adventures of my characters next year. Well done Isabella, huge congratulations on this great news! Book 3 is also already swirling around in my head, and will definitely contain the aforementioned churros with copious amounts of chocolate dipping sauce! Thank you Isabella, I have to admit all your novels sound good enought to eat as well as read! I’m really looking forward to reading your novel number one which I have already pre-ordered and will appear, as if my magic, on the 3rd October. Oh! What a Pavlova is her debut novel… and her second novel will be released early 2018. Thanks so much for hosting me, Cristina! These were some fun questions to answer and now I am seriously hungry!